Hundreds of people have shown their support for Neath Port Talbot Magistrates by signing the petition to stop criminal cases moving from Neath Port Talbot Magistrates’ Court to Swansea. 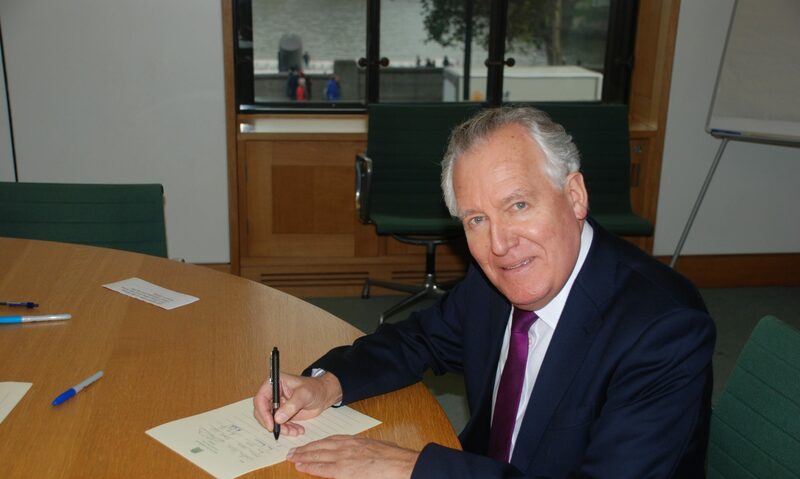 Launched by Peter Hain the petition calls for the Government to scrap its plans to shut the venue in Neath and the local MP is urging hundreds more to show their support. Last week the Neath MP has met with local Magistrates and local solicitors who have joined forces with him to protect the services by moving the Magistrates to the County Court in Neath. Speaking after the meeting Mr Hain said: ‘The knock on effect the Government’s proposal would have on the town would be devastating with the impact affecting the Probation Service which is currently based in the Neath courthouse and solicitor firms based in Neath and Port Talbot that represent local people. Not to mention the workforce who will have the terrible predicament of having to move to Swansea or face losing their jobs. ‘The Government needs to rethink its proposals because there is a viable, low cost option by using Neath County Court and the police cells option as an alternative venue to house the Magistrates facility. If Family Matters currently heard at the Neath County Court are transferred to the purpose built Port Talbot Justice Centre where there is ample office, court room and storage space then this would free up the room for the Magistrates to move to the County Court behind Neath Police Station.